On May 9th 2011 G.L. Watson’s Managing Director Dr William Collier joined broadcaster Natasha Kaplinsky on stage at Guildhall to announce the winner of the Legacy Award at the Boat International World Superyacht Awards 2011. 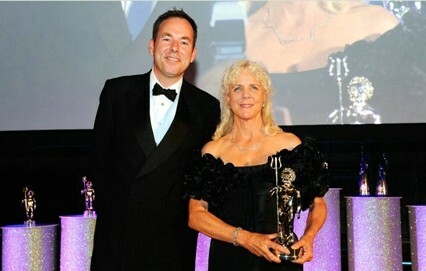 The Award was presented to Elizabeth E. Meyer, for her instrumental role in the restoration of J-class Yachts, which began with her own 130-foot sloop, Endeavour in 1983, and the founding of the International Yacht Restoration Society (IYRS) in 1993.